Helping lenders to predict near term & long term project cash flow and project completion time by critically supervising the project. For nearly 60 years, DASTUR has been helping clients to achieve their strategic and financial goals. 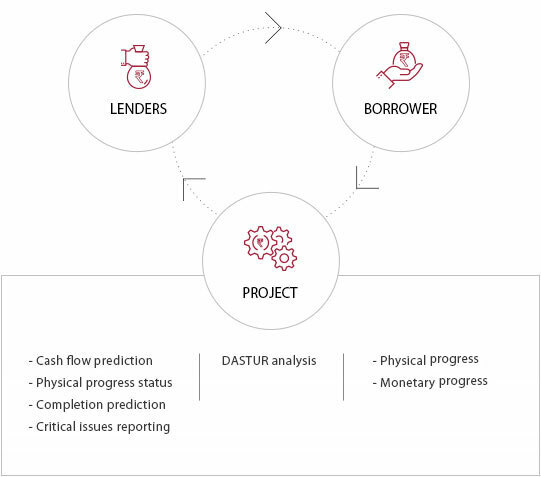 DASTUR provides independent & unbiased report on project physical status, Fund utilisation & Key issues which are critical to project success. Unbiased - Our service is independent as we are not affiliated with construction and manufacturing organizations which enable us to provide objective analysis. Focused - With dedicated departments and committed professionals, our service is focused solely on the metal industry. This allows us to obtain critical industry knowledge and subsequently, provide clients with sound advice.